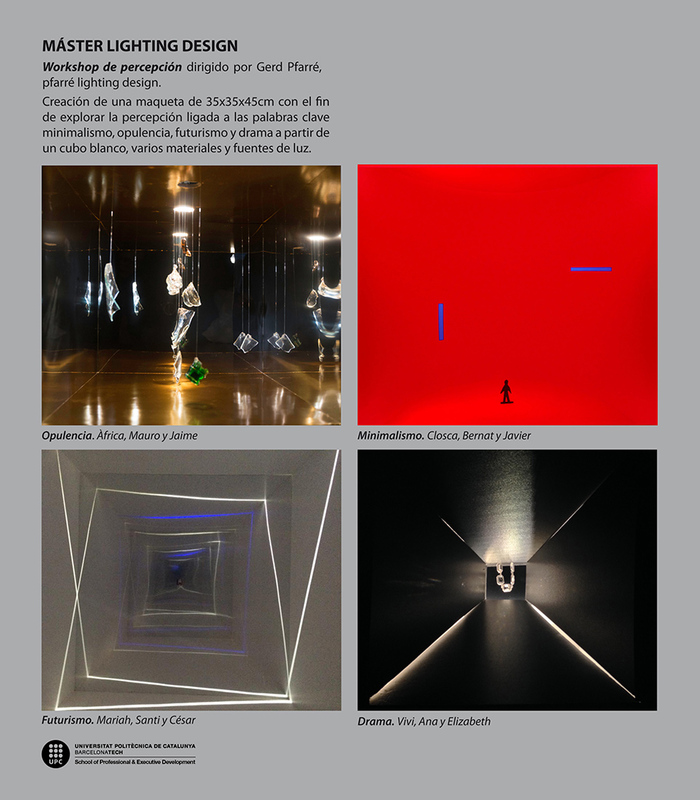 From 8-9 of May, Lighting Design Master’s students did a Worskshop directed by Gerard Pfarré. They worked with white models, different materials, and different light sources. The main aim was to explore the “visual perception”. They worked with specific concepts, like: opulence, minimalism, futurism and drama.